Banff & Buchan MSP Stewart Stevenson has welcomed the announcement that three projects in Banff & Buchan have received a combined total of £22,101 from the Big Lottery Fund. The Peterhead Sea Cadets have been awarded £8,772 to provide various activities for young people between 10 and 18 years old. The Banff Community Small Schools Sailing Initiative has received £4,779 to arrange introductory sailing lessons for primary school pupils in the local area. Meanwhile, Brighter Horizons has received £8,550 to fund a programme of activities for young people in and around Banff. “It is excellent news that these three projects have received funding to support their future activities in Banff & Buchan. These sums will make a significant difference to what can be delivered for the young people who benefit from these projects and I know will be welcome news to people in the local communities. “The money for the Sea Cadets in Peterhead and the Small Schools Sailing Initiative in Banff will help train a new generation of sailors in the area, something that has a long and proud tradition in Banff & Buchan. Meanwhile, the money Brighter Horizons is receiving will help provide a greater range of activities for young people in and around Banff. “I am delighted by this news and I am sure that it will be welcomed by everyone involved in these projects too”. Transport Minister Stewart Stevenson will visit Glasgow tonight as Europe’s largest mobile crane swings in action to lift into position the first of eight huge beams which form the new link bridge over the M8. The delicate operation, carried out under partial-closure of the M8 in this area overnight, requires months of planning including the delivery in 45 lorries of the 1200 tonne crane. "We can really see the new road take shape now as it begins to span the M8. This is a fantastic milestone for the M74 Completion and, with this first beam being lifted into place this evening, will underline the pace and progress being made in delivering this major project. "The M74 project, one of the largest on the ground in Scotland at present, is providing vital jobs and investment to the hard pressed construction industry. Once complete, the M74 missing link will provide improved access to economic, employment and education opportunities for the people of Scotland." Contractor Interlink M74 JV is overseeing the lift, which involves moving eight beams into place over the next few weeks. Each beam will take around 1.5 hours to move and secure under the watchful eye of site staff. "We are delighted to reach this important milestone on the project. The works are already visible and these beams, which will be seen by thousands of motorists each day, will emphasise the significant progress being made. These dramatic changes to the landscape will continue over the next few months as embankments are completed and other bridge beams are craned into place throughout the project." The M74/M8 Link Bridge is being manufactured in 20 sections which, when joined together, forms eight larger beam sections each weighing 200 tonnes and 232 metres in length; if laid end to end they would be the equivalent length of four football pitches. The crane involved in the lift is 180 foot tall, has a 90 metre long jib, and a lifting capacity of 1200 tonnes. Over 45 articulated lorries were used to deliver the crane components and assembling these components was a major feat in itself carried out expertly by staff on site. "This work is a very visible sign of a city hard at work and making great progress on a project that is vital to the future growth of Glasgow and of Scotland. "The completed M74 will bring with it opportunities for thousands of individuals and businesses, support East End regeneration and help us deliver the best possible 2014 Commonwealth Games. Meanwhile, the construction phase itself is already providing good quality jobs in a harsh economic climate." "It's very encouraging to see the evidence of this major project taking another major step forward. The M74 Completion Project will improve the competitive position of the Renfrewshire economy and Glasgow Airport, attract new investment and jobs, and boost the continuing regeneration of the area." "It’s wonderful news that work on the M74 is progressing so well. "When complete the road will bring with it many benefits to South Lanarkshire and the rest of Scotland. "In addition, a number of local long-term unemployed people have managed to get jobs and training with Interlink M74 thanks to the M74 completion project and the M74 Employability Partnership is working to generate many more training and employment opportunities with supply chain companies and subcontractors." A grocery shopping service for older and disabled people is to receive Scottish Government funding, Minister Stewart Stevenson announced today. The Food Train charity will receive £35,000 from the Third Sector Enterprise Fund to help it further expand services to other areas of Scotland. “I’m delighted to have been able to visit Food Train and see for myself the real difference they make to the lives of people in Dumfries and Galloway. "As a Government, we want to see organisations like Food Train play a greater part in helping us create a more successful Scotland and we have demonstrated this commitment by increasing third sector funding by 37 per cent. Food Train has been in existence since 1995 and is a thriving charity with six local bases, 10 delivery vehicles, 19 local shops supporting 15,000 annual deliveries to over 500 people across 2,500 square miles. The increasing numbers of older people with growing dependency led the company to develop Food Train 'EXTRA', which provides regular household and home safety support combined with the befriending element of increased social contact. Volunteers visit customers monthly for up to two hours doing a variety of jobs from fridge cleaning to changing light bulbs. "This Government and Scotland's councils have a shared ambition to see public services working together with Community Planning Partnerships (CPPs) to improve quality of life and opportunities for people right across Scotland. "I am delighted to be in Dumfries and Galloway for the signing of this year's Single Outcome Agreements. Together, we can work towards our goal of increasing sustainable economic growth and help the region play its part in creating a more successful Scotland. "This means we know that they reflect the needs and ambitions of people in the region. The Community Plan sets out WHAT we want – 'an ambitious, prosperous and confident Dumfries and Galloway where people achieve their potential' – and the Single Outcome Agreement gives the detail of HOW we are going to achieve that". Stewart Stevenson, Minister for Transport, Climate Change and Infrastructure today announced the re-appointment of the board member with Scottish Interest to the board of Passenger Focus. James King has been re-appointed to the board of Passenger Focus, previously known as Rail Passengers Council. Mr King is also the convener of the Passenger View Scotland (PVS), formally known as Public Transport Users Committee for Scotland (PTUC), and a member of the British Transport Police Authority board. The part-time appointment will be for one year and will run from 24 July 2009 until 23 July 2010. Mr King was first appointed to this role in 2005. He was appointed as convener of PVS in May 2008 and was re-appointed to the British Transport Police Authority board in July 2008. The Rail Passengers Council was established under the terms of the Railways Act 2005 as an executive non-departmental public body sponsored by the Department for Transport and replaced the eight regional Rail Passengers’ Committees as a UK-wide rail passenger consumer body. The Chairperson and 12 board members were appointed by the Secretary of State for Transport, with additional members, one each nominated by the Scottish Government, the London Assembly and the National Assembly for Wales. The RPC’s remit is to act as a rail passenger organisation that secures improvements to services, providing help, advice and information to customers; helps form and develop the main policies, procedures and regulation of matters affecting rail passengers; and functions as a national campaigning and lobbying organisation, with more emphasis than its predecessor organisation on research and publishing. Passenger Focus came into effect as the operating name of the Rail Passengers Council on Wednesday 25 January 2006. All re-appointments are made on merit and political activity plays no part in the selection process. However, in accordance with the original Nolan recommendations, there is a requirement for appointees political activity (if there is any to be declared) to be made public. James King undertook no political activity in the past five years. The Minister for Transport, Infrastructure and Climate Change, Stewart Stevenson today announced the re-appointment of the Chairman, Peter Timms CBE to the David MacBrayne Ltd Board. This new three-year part-time appointment is effective from August 1, 2009 and attracts a daily fee rate of 351 pounds for a minimum time commitment of two days per week. Peter Timms has no other public appointments. Peter Timms is a resident of the Isle of Bute. He is Chairman of several companies in the private sector. He formerly served as a Member of the Highlands and Islands Enterprise Board and is chair of the Board's Remuneration Committee. "I am delighted to announce the re-appointment of Peter Timms, as Chairman of David MacBrayne Ltd. His first term as Chairman has been very successful and I wish him every continued success. The Scottish Government is committed to maintaining Scotland's essential lifeline ferry services and this re-appointment to David MacBrayne Ltd will help CalMac and NorthLink to deliver on that commitment." David MacBrayne Ltd is wholly owned by Scottish Ministers and is the group holding for CalMac Ferries Ltd and two other ferry operating subsidiaries, NorthLink Ferries Ltd and Cowal Ferries Ltd.
CalMac Ferries Ltd currently provides the Clyde and Hebrides ferry services through the new public service contract which started on 1 October 2007. Cowal Ferries Ltd operates the Gourock-Dunoon service. NorthLink provides the Northern Isles ferry services through a contract which started on 6 July 2006. This Ministerial public re-appointment was made in accordance with the Commissioner for Public Appointments in Scotland's Code of Practice. All appointments are made on merit and political activity plays no part in the selection process. However, in accordance with the original Nolan recommendations, there is a requirement for appointees' political activity (if there is any to be declared) to be made public. Peter Timms undertook no political activity in the past five years. Infrastructure Minister Stewart Stevenson, has announced his decision to re-appoint Charles Coulthard and David Simpson as members of the Water Industry Commission for Scotland. Professor Simpson, also acts as Deputy Chair. The appointments, which are part-time with a time commitment of an average of one day a week, are for further three year terms from July 1, 2009 to June 30, 2012. The posts attract a remuneration of £15,392 a year. These re-appointments were made on merit and political activity played no part in the selection process. However, in accordance with the original Nolan recommendations, there is a requirement for appointees' political activity to be made public but none was declared by either candidate. The Water Industry Commission for Scotland was established from July 1, 2005 by the Water Services etc, (Scotland) Act 2005 as the economic regulator for the water industry in Scotland. The Commission comprises six members, including the Chair, Sir Ian Byatt. The other publicly appointed members of the Commission are Professor John Banyard and Dr Mike Brooker. Alan Sutherland, Chief Executive, is also a member of the Commission. Driech Scottish weather was unable to dampen the spirits of Climate Change Minister Stewart Stevenson as he launched a five-year plan in north Glasgow on June 21. In conjunction with Scottish Natural Heritage (SNH) The Minister set out plans for green measures to provide a brighter future and help indigenous species adapt to climate change. ‘Scotland has positioned itself at the forefront of international action on climate change. It is hoped these measures will help certain species which will face additional pressure in the face of climate change. It was conceded that among Scotland’s wildlife there would be ‘winners and losers’. Some species may only be able to survive by being translocated to a new area. But SNH has advised that this strategy is to be used only as a last resort as it is costly, time-consuming, and there is no guarantee of success. ‘What is certain, however, is that climate change is here and the actions we take now can go a long way to addressing future challenges. Infrastructure Minister Stewart Stevenson gives his seal of approval to Scottish Water’s £6.9million project to connect the West Highland communities of Ardgour, Ballachulish, Duror, Glencoe and Onich to the main drinking water supply from Fort William. On a visit to the drinking water production plant at Camisky, where a £3million upgrade was completed earlier this year, the minister saw for himself the high standards achieved by its modern membrane filter technology. “I'm delighted to be able to visit Lochaber to see how this vital investment is progressing, which will offer the people of Lochaber greater quality in their drinking water. This is just one of a number of projects being delivered across the Highlands, demonstrating how our record investment in the water industry is supporting jobs and the economy in these challenging times." Work began earlier this year to install water mains from Fort William to Onich and between the other communities due to receive the new supply. Good progress is being made with pipelaying 75% complete. The supply from Fort William is expected to be switched on by the end of the year. The plant at Camisky uses boreholes by the River Lochy to make drinking water for around 12,000 people throughout the Fort William area, including Corpach, Spean Bridge and all the way round Loch Eil to Trislaig. Plans for a multi-million-pound train and tram interchange station at Gogar, in west Edinburgh, will be exhibited to the public for the first time on Wednesday (29 July), when Network Rail hosts the first of two public exhibitions at the Gyle shopping centre. 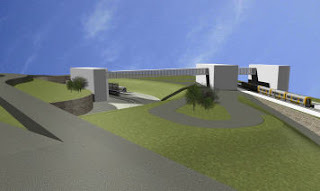 The Gogar Rail Interchange project, funded by Transport Scotland, comprises the creation of a new rail station on the Edinburgh to Fife railway lines in the Gogar area. This would be located adjacent to a new stop on the Edinburgh Tram network for onward passenger transfer to Edinburgh Airport. A raised walkway will link the railway station and tram terminal whilst a subway will link the railway station with the Gyle Shopping Centre on the south side of the A8. The railway station will be on two levels. The lower level area will have a lift, staircase and escalators to take passengers up to the ticket office and concourse at first floor level. “This is a hugely important project for the East of Scotland and I’m delighted that the proposals for the station are available for all to see. The new interchange, which is expected top provide substantial benefits to passengers travelling to and from Edinburgh and Fife, is part of a £1bn programme of investment in the railway between Edinburgh and Glasgow which is being funded by Transport Scotland on behalf of the Scottish Government. The Edinburgh Glasgow Improvements Programme will make significant investment in the rail infrastructure linking Scotland’s two main cities and their surrounding towns, increasing service levels and reducing journey times. Minister for Transport, Infrastructure and Climate Change Stewart Stevenson MSP today (Monday 27th July) visited Queen Margaret University as part of a tour of East Lothian. He was welcomed on site by Vice Principal Rosalyn Marshall and Facilities Director Steve Scott who showed him some of the initiatives that have won the university international recognition of its environmentally sustainable campus. Mr Stevenson was joined on the tour by Alan Blackie and David Berry of East Lothian Council. “"We were delighted to welcome Mr Stevenson to our award winning campus and we were very proud to show him around some of the ground breaking environmental design and technology that has put us at the forefront of sustainability in the sector." This year the new campus has won a prestigious Green Gown award for sustainable ICT, and also achieved highly commended for the building of its sustainable campus. The Green Gown Awards recognise exceptional sustainability initiatives being taken by the UK’s education institutions. The institution was also presented with an international Green Apple Award, an annual accolade in recognition of building projects which enhance the built environment. The Green Apple Awards campaign is run by the Green Organisation, an independent non-political, non-profit organisation that recognises, rewards and promotes environmental best practice. QMU’s new campus sets benchmark standards for sustainable building in the higher education sector. The design has secured a BREEAM* ‘Excellent’ rating; with exemplar achievements in efficiency of space utilization and energy consumption, and in ‘green’ transport planning. Minister for Transport, Infrastructure and Climate Change Stewart Stevenson MSP visited Haddington on Monday 27 July 2009 to sign a document that will better link the efforts of a variety of public bodies across the county by jointly planning for the future of East Lothian under the civic leadership of the Council. This signing of the Scottish Government's Single Outcome Agreement (SOA) with East Lothian is the fruit of months of teamwork among all Community Planning Partners who agreed this groundbreaking approach to better serving East Lothian's people in May of this year. promotes the well-being of people in East Lothian. Encouraging stronger and more vibrant communities. For each of these, they have developed a range of outcomes, or results, that they would like to achieve. These form the basis of East Lothian's Single Outcome Agreement. They feel that these themes and outcomes reflect the needs and wishes of communities and individuals in East Lothian. "This Single Outcome Agreement between the Scottish Government and East Lothian Community Planning Partnership is intended-above all-to make a difference in people's lives. Many public and voluntary bodies work hard across the county to provide people with a variety of services. The challenge is to do so across organisations in a coherent, cost-effective manner, with none of the joins showing. The SOA identifies such challenges and agrees priorities to address them. "I am honoured to be representing East Lothian Council who, with the civic lead role in our Community Planning Partnership, is grateful to all our partners for their teamwork in bringing this together. The official signing of this Single Outcome Agreement on the Partnership's behalf today is a gateway to smoother servicing of our people's many needs." "I am delighted to be in East Lothian for the signing of this year's Single Outcome Agreements. The agreements between the Scottish Government and Community Planning Partners reflect local circumstances and priorities in these challenging economic times for the people of East Lothian. Together, we can work towards our goal of increasing sustainable economic growth and help East Lothian play its part in creating a more successful Scotland." The vociferous campaign to “Keep Johnnie Walker in Kilmarnock” received a boost today as Scottish Government Minister, Stewart Stevenson took time out from a whistle stop tour of East Ayrshire to sign the petition pleading with drinks giant Diageo to keep 700 jobs in the district. Mr Stevenson, Minister for Transport, Infrastructure and Climate Change was in East Ayrshire to sign the East Ayrshire Community Planning Partnership’s Single Outcome Agreement which sets out the continuing relationship between the Scottish Government and Local Government based on mutual trust, respect and partnership. The agreement also underpins the funding arrangements to be provided to Local Government over the next two years until March 2011. Part of the Minister’s visit included a trip to the newly refurbished Baird Institute in Cumnock, where he was reminded of the extensive history surrounding Johnnie Walker’s presence as a major employer in the area for nearly 200 years. After viewing artefacts in the Baird Museum, the Minister was keen to sign the petition and express his support for the campaign being run by the cross party group within East Ayrshire Council and partners to try to save the Kilmarnock bottling plant. The Minister spoke about how his father’s first cousin James Stevenson (who later became 1st Baron Stevenson) joined the Johnnie Walker company in 1888, working his way up to become its joint Managing Director. He is credited with having come up with the company’s advertising slogan ‘Born in 1820 – still going strong’. Expressing his support for East Ayrshire’s efforts, the Minister for Transport, Infrastructure and Climate Change Stewart Stevenson said: “I am delighted to be in East Ayrshire for the signing of this year’s Single Outcome Agreements - which signals the path to a successful future for the area. “I will also sign the Keep Johnnie Walker in Kilmarnock petition and emphasise that the Scottish Government is doing everything we can to protect the jobs at the Diageo plants in Kilmarnock and Glasgow. The significant support for this petition - with more than 10,000 signatories already - demonstrates the people of Scotland’s opposition to the company’s plans. The Minister’s visit also took in Dumfries House, where he discussed the regeneration investment being made in the south of the Authority including the development by His Royal Highness, the Prince Charles, Duke of Rothesay of a sustainable community at land adjacent to Dumfries Estate at Knockroon. The Minister then boarded the revolutionary “Bio Bus” and met with Stagecoach representatives to discuss this innovative project, from where he went on to the newly built eco-friendly Galston Primary School, which uses sustainable energy and grey water harvesting. To learn more about the Keep Johnnie Walker in Kilmarnock Campaign or to sign the online petition visit www.keepjohnniewalkerinkilmarnock.com. A new campaign encouraging drivers to leave their cars at home will get underway next week. The Go Greener travel and transport campaign is promoting the benefits of leaving the car at home “when you can”, particularly for shorter journeys. Featuring 80s pop icon Gary Numan and his number one single ‘Cars’, the TV adverts will promote a “travel differently” message. Radio, outdoor and online advertising will also be used featuring the campaign’s Mr Earth character. “We fully appreciate that people need to use their cars when going about their daily lives, whether that is for business or for leisure. However cars make a serious contribution to emissions of greenhouse gases as well as contributing to local air pollution. If we want to tackle the effects of climate change and achieve our world-leading emissions reduction targets, it is clear we all need to take action in a range of areas, including our travel choices. “One in three journeys are less than two miles and drivers could help cut emissions as well as pocket some savings by leaving their car at home at least once a week. “We are proud to be part of the Scottish Government's Go Greener campaign. Public transport has a crucial role to play in cutting global carbon emissions and we are also doing what we can as a business to reduce our own carbon footprint. "Our research has found that climate change is of real concern to our customers. They want to help do something about it and taking public transport instead of commuting by car is perhaps the single most effective way for people to make a difference. "As well as being a greener, smarter option, public transport can also be a cheaper way to travel, which is really important to families in the current economic environment. We hope that by promoting the benefits of sustainable public transport we can help make it easier for people to have greener lifestyles." “We’re delighted to support the Scottish Government’s Go Greener campaign for Travel and Transport. “As Scotland’s largest Regional Transport Partnership, SPT encourages people to get out of their cars and think about more sustainable ways to travel such as public transport, walking and cycling. "We have a collective responsibility to leave the planet in as good a shape as possible for future generations. Public transport provides people with a real opportunity to significantly reduce their carbon emissions. “FirstGroup's buses and trains produce significantly less carbon emissions per passenger kilometre than cars. We are doing our best to encourage motorists to consider public transport as a safe, sustainable, reliable and cost effective alternative. "FirstGroup is delighted to be joining forces with the Scottish Government’s Go Greener campaign to help highlight the steps we can all take to help reduce carbon emissions across Scotland." Green networks can help species in Scotland to adapt to climate change by providing opportunities for them to move to suitable new habitats, Scottish Natural Heritage (SNH) confirmed today. But in extreme cases it may be necessary to consider action to translocate - or move - some species to maintain their viability. Changing weather patterns over the coming decades are likely to have far-reaching effects on Scotland’s nature and landscapes, with the likelihood that some species will be winners and others losers. However, effective management and conservation can improve the scope for species to adapt by ensuring the effects of future climate change are taken into account in current planning, SNH has stressed. Climate Change Minister Stewart Stevenson today launched the five-year SNH action plan for climate change. In it, SNH outlines a series of measures in which our nature and landscape can be primed to meet the challenges presented by the changes and challenges. Managing wetlands and floodplains as natural systems which can help reduce flood risk. “Scotland has positioned itself at the forefront of international action on climate change with ambitious legislation that will help Scotland take advantage of the opportunities presented by the move to a low carbon economy. “The public sector has a leading role in supporting delivery of that ambition, and can demonstrate this by setting its own demanding reduction targets for greenhouse gas emissions, sharing best practice, and encouraging wider action through partnership working and visible reporting on performance. In its action plan SNH recommends coastal management should employ soft engineering techniques by making use of coastal habitats, sand and gravel to absorb wave energy. That advice comes amid scientific evidence that seasonal events in terrestrial, freshwater and marine environments will occur earlier in the coming decades. Certain species will face additional pressure if they cannot disperse and may only be able to survive by being translocated to a new area. But SNH has advised that this strategy is to be used only as a last resort as it is costly, time-consuming, and there is no guarantee of success. Of the 450 established non-native higher plant species in Britain, around 10-15% are already considered invasive and changes to our climatic conditions could increase this number. “Protected areas, including those privately owned and managed as well as those owned by SNH, will remain important for species and habitat conservation. “They will provide source populations and colonising habitat for dispersing species. Green networks can also play an important part by providing the connectivity which will give species opportunities to move to new suitable habitat. “However, it is a possibility that action may be needed to translocate some species in order to maintain viable populations. Protected sites would be able to make an important contribution to delivering any such strategy should it prove necessary. This kind of management could, however, only be considered as a last resort where no other option was available. “What is certain, however, is that climate change is here and the actions we take now can go a long way to addressing future challenges. Our aim is to inform the people of Scotland about these changes and provide advice on adapting to and mitigating the effects of climate change. “The Climate Change (Scotland) Bill has been passed by the Scottish Parliament in June 2009. The Scottish legislation has set an interim greenhouse gas emissions reduction target of at least 42% by 2020 and introduces a duty on public bodies, including SNH, to help in delivering targets and to contribute to relevant programmes of adaptation to climate change. A major report has confirmed that renewable energy can power Scotland’s energy revolution and create enough power to export additional electricity resources. The report, which has been welcomed by local MSP Stewart Stevenson confirms that Scotland can meet domestic energy needs from renewable sources and has the potential to produce surplus green energy for export. “This is an encouraging report and further demonstrates Scotland’s ability to lead the renewables revolution. There is welcome confirmation in this report both of Scotland’s green energy potential and our ability to generate electricity for both domestic consumption and export without costly and unwanted nuclear power stations. “While we are on target to surpass our ambitious renewable energy targets of 31% of electricity from renewables by 2011 to build a bright and green future we must ensure we invest properly. It is unfortunate that £150 million of potential investment in Scotland’s renewables and energy industry is currently sat in a UK Government bank account through a quirk of Treasury accounting. It is time that money was released and invested in Scotland’s energy future. deficiencies in HSE’s oversight of ICL in failing to appreciate the significance of buried pipework, failing to pursue follow up visits promptly and lacking caution in the acceptance of a compromise put forward in respect of a recommendation it made that the buried pipework be excavated to ascertain its condition. "I would like to thank Lord Gill and the ICL Inquiry Team for the manner in which they handled this first joint Inquiry and for fulfilling the Terms of Reference so efficiently. 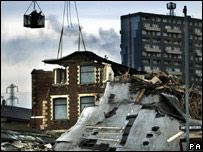 A key message of the report is that this was an avoidable disaster and that its causes are clear. I therefore welcome the findings and recommendations in the report." Safety-conscious pupils from Strathburn Primary School in Inverurie helped set the scene for the launch of Scotland’s Road Safety Framework to 2020 at Aberdeenshire Council’s Woodhill House headquarters this week. Primary 3 pupils from Strathburn Primary School joined Transport Minister Stewart Stevenson, councillor Peter Argyle and councillor Jill Webster at Woodhill House as they launched Scotland’s Road Safety Framework to 2020. The P3 pupils had prepared their own song highlighting a ‘stop, look, listen, think’ message as Transport Minister Stewart Stevenson visited the council to launch the far-reaching document on Monday, June 15. The framework outlines new targets – the first specifically for Scotland – to reduce the number of serious injuries on Scotland’s roads by half and the number of fatalities by 40 percent over the next decade. An expert group helped shape a range of new proposals including action to target young drivers, a pilot of high-tech devices which restrict vehicle speed, and examination of the case for introducing greater restrictions on newly-qualified drivers. Proposals to encourage local authorities to introduce 20mph zones in all residential areas and commitments to improve school bus safety are also included. Scotland’s Road Safety Framework ‘Go Safe on Scotland’s roads – it’s everyone’s responsibility’ also includes calls for changes in legislation concerning powers currently reserved to Westminster. The Transport Minister said that, while British targets set in 1999 have been exceeded, the framework would provide an ambitious vision for future developments in road safety. Mr Stevenson said: “The Road Safety Framework sets out a shared commitment to educate and inform, to engineer, and to enforce traffic laws. “But progress does not just depend on central government, local authorities, the police, fire and rescue and other emergency services or the main road safety organisations – it is the responsibility of every single road user in Scotland. The launch was also an opportunity to highlight work ongoing in Aberdeenshire to help improve road safety. The authority’s recent work on school transport safety includes measures to ensure bus operators display school bus signage appropriately; a review of pick-up and drop-off points, and the first UK trial of a new interactive school bus stop known as SeeMe. The council has also been involved in the development of education resources including the ‘School Bus Stop!’ campaign, which includes a safety DVD entitled ‘1 Second. 1 Life’. The Strathburn pupils helped launch a new proposed school bus sign designed by Aberdeenshire Council in support of a campaign to heighten awareness for drivers and schoolchildren around school pick-up and drop-off points. Cllr Peter Argyle, chairman of Aberdeenshire Council’s Infrastructure Services Committee, said: “All of us have, over a number of years, been working in partnership to reduce the number and severity of casualties on our road network. “The impact of these tragic events on our communities is a constant reminder of why we must concentrate on finding innovative and effective approaches to tackling this problem. Also attending the launch were members of an expert panel brought together to help inform the new framework. Representatives of the Scottish government, Scottish councils, police forces, fire and rescue services, road safety organisations, the Community Safety Network, NESTRANS and the Scottish Safety Camera Programme were also present. Scotland has set the standard in developing proposals and policies for a low carbon economy, Climate Change Minister Stewart Stevenson said today. The UK Government White Paper ‘The UK Low Carbon Transition Plan’, published today, sets out measures to meet its carbon budgets for 2008-2022. These replicate in many cases action already taken in Scotland. Mr Stevenson pledged to work in partnership with the rest of the UK to deliver the most ambitious and comprehensive climate change targets anywhere in the world. “Climate Change is the greatest challenge we face and we are pleased to be working with the UK Government to influence the global response. “We welcome Westminister’s decision to investigate higher regulatory standards for energy efficiency in housing following our lead in reducing costs to homeowners and cutting emissions. The White Paper confirms the aim to generate half of the UK’s electricity needs from low carbon sources by 2025. Measures include producing around 30 per cent of electricity from renewables by 2020, a substantial increase in the requirement for electricity suppliers to sell renewable electricity and steps to facilitate the construction of new nuclear power stations. The Scottish Government is committed to generating 50% of electricity from renewables by 2020 and fully decarbonise electricity by 2030. 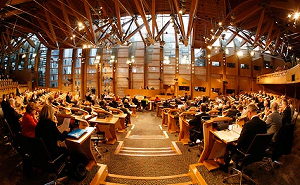 The Scottish Government is already set to surpass its target of 31% of electricity from renewables by 2011. Last month, the Scottish Government’s Climate Change Bill was setting a target of reducing Scotland's greenhouse gas emissions by 80 per cent by 2050 with an interim target of 42% by 2020 was passed by Parliament. Today, the UK Government states its plan will deliver emission cuts of 18 per cent on 2008 levels by 2020 as well as sharing the 2050 target. “Just yesterday, a report commissioned by environmental groups vindicated the Scottish Government’s position to back investment in green, renewable energy sources to become Europe’s green energy powerhouse showing that Scotland could generate all of its renewable energy needs from renewables by 2020 and become a net exporter of renewable energy. Scotland does not need or want expensive and dangerous new nuclear power stations. “We will continue to work with the UK Government on grid network development in the UK and Europe to manage more electricity from more varied sources. The Climate Change Act (2008) stipulates that the report must be prepared in consultation with the Devolved Administrations insofar as it relates to devolved policies. 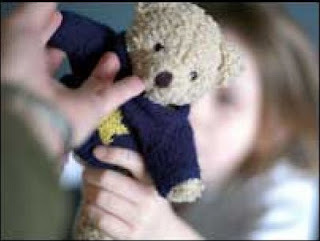 “It is ridiculous that efforts to help and support Kinship carers are damaged by UK Government benefit rules. The prospect of payments for care being docked because of out of date benefit rules is ridiculous. Banff & Buchan MSP Stewart Stevenson has warmly welcomed the announcement that two companies in Banff & Buchan will receive Scottish Government funds as part of the money awarded in the latest round of National Food Processing, Marketing and Co-operation Grants. Grampian Oat Products of Banff are set to receive £89,141 towards construction of a new warehouse and packing area, while Aberdeen & Northern Eggs of Strichen will receive £292,120 towards an upgrade of their facilities and equipment. The funding is part of £3.3 million that has been awarded nationally in this latest round of grants and aims to help agricultural businesses expand and become more efficient and successful despite the current economic downturn. “I am delighted that of the 16 companies across Scotland that will receive grants under this round of funding, two of them are based in Banff & Buchan. This is a clear demonstration of the Scottish Government’s determination to help rural business in this constituency and across Scotland. “It is also a clear sign of the ambition that these two companies have for the future that they have received these grants towards upgrading their operations. It is an extremely pleasing sign for the area and everyone involved in rural businesses. Banff & Buchan MSP Stewart Stevenson has welcomed the publication of figures in Grampian Police’s annual report that demonstrate crime has fallen by more than five percent in the last year. There were 4856 fewer crimes in the Grampian area compared to last year’s figures while police numbers have hit a record high of 1557. “The hardworking officers in Grampian Police have done a fantastic job in securing our communities and driving down crime in the last year, as these figures show. “That crime has so demonstrably fallen in the region is a testament to their dedication when it comes to making our streets safer and everyone in Grampian Police should be immensely proud of their efforts. 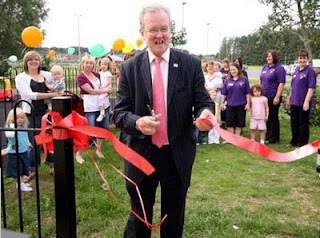 Local MSP Stewart Stevenson officially opened the Mintlaw Under Fives base, near Mintlaw Academy recently. “I applaud the efforts of everyone involved in the campaign for the play area which is a huge success. It was clear to see that the kids using the area were having a brilliant time so too were many of the parents. “I’m sure that the play area will be well enjoyed by local youngsters, especially with the summer holidays about to commence. The new arrivals hall at Greenock Ocean Terminal's cruise liner facility was officially opened on Wednesday 1st July 2009 following a striking £100K upgrade. Clydeport, Riverside Inverclyde and Inverclyde Council funded the partnership project, which has vastly improved both the appearance and functionality of the arrivals hall - the first experience thousands of overseas cruise passengers every year have of Scotland. Large scale imagery celebrating Scotland’s history and culture. A centrepiece local information point staffed by Inverclyde Tourist Group. Ocean Terminal was officially opened 40 years ago as a specialist container terminal, but over the years last 20 years it has diversified to be one of Scotland’s best cruise facilities with natural deep water. The terminal was built on the site of Princess Quay, which has had a long association with cruise ships dating as far back as 1875. Ocean Terminal is fast becoming an important cruise port, vital to Scottish tourism as a gateway for overseas visitors. This year 29 liners will dock at Greenock in the cruise season between April and October, bringing 41,129 passengers - an increase of 34% on 2008. The Crown Princess brought passengers from 25 countries to Scotland, from as far as Japan, Chile, Argentina, New Zealand and the USA. The superliner is a floating village, with nine restaurants , a two-level spa and fitness centre, three theatres and a huge Movies Under the Stars outdoor on-deck film screen over the pool. Many of the passengers disembarked for an experience of Scotland, including bus tours to as far afield as Glasgow and Edinburgh. However a substantial number spend money in Greenock, as do crews taking advantage of shore leave. It is estimated that Greenock's cruise business now brings £1m a year into the local economy. Opening the new facility, Transport Minister Stewart Stevenson said: “I congratulate Clydeport and its partners on this excellent upgrade. These first class facilities will provide the increasing numbers of visitors to our shores with a fantastic first impression of Scotland and encourage them to return for more of our famous hospitality." Andrew Hemphill, Clydeport's operations manager at Ocean Terminal, said: "Year on year we are building the cruise business at Greenock, and 2009 will be the best to date. We have also been improving the facilities year on year, for example last season we built new toilets and a washroom and installed external marquees. "However, this year the upgrade has had a major visual effect on our arrivals hall, which until now has been essentially a modified port shed. Displays are to modern exhibition standard, celebrating Scotland’s tourist offering. "This is an exciting enhancement of our facility, and we are delighted that our partners at Riverside Inverclyde and Inverclyde Council have supported us in recognition of the important part our cruise business plays in the local economy. "Our arrivals hall is the first experience overseas cruise passengers have of Scotland, and we are delighted that experience has now been greatly enhanced, giving a positive impression both of our town and our country. "In addition to the local tourist information point, there is also some limited space being made available to local companies looking to set up stalls to market their produce to cruise visitors." Clydeport is a member of Cruise Scotland, a new organisation launched in March at the Seatrade Cruise Shipping Miami Exhibition to promote and market the country's ports and many visitor attractions internationally. Bill Nicol, CEO of Riverside Inverclyde, said: “We are committed to enhancing the image and perception of Inverclyde, and supporting these improvements has given an opportunity to provide facilities to showcase Greenock, our natural and built environment, our heritage and our arts and crafts produce." After leaving Greenock, Crown Princess will sail to Invergordon as part of her 12-night British Isles cruise which started on 25 June in Southampton. Scottish Water is keeping Scotland flowing, playing its part to ensure the delivery of desperately needed new homes and help support economic growth across the country. From today (Wednesday 1st July) Scottish Water will help to enable developments by easing the upfront cash flow of developers' charges for connection. This will ease the financial burden on developers of starting up sites across Scotland, which is often the expensive phase, before any income can be generated from house sales. With around 18,000 new homes connected in 2008/09, Scottish Water is committed to helping Scotland grow and is keen to continue to lead and support development and economic growth in thses challenging times. "Scottish Water has continued to deliver for developers in recent years, creating new capacity in its assets across Scotland. This welcome move is helping developer's cash flows and building on our efforts to supprt house-building and protect jobs during these challenging economic times. "This announcement signals a significant step change in how Scottish Water and the development industry are workign together in partnership to help shape the economy of Scotland." "We are pleased to be able to make this positive change. New homes and new customers are alos good for Scottish Water. "We are working with communities, developers and local authorities the length and breadth of Scotland to meet their needs and deliver tangible benfits through investment in clearer, fresher drinking water projects and initiatives which help protect our natural environment and deliver the additional capacity which allows communities to prosper and grow."